Last UAAP season’s runners-up De La Salle Green Batters continued their surge in the 2019 Philippine Baseball League, taking down the Itakura Parts Philippines Corporation Nationals, 11-8, Saturday morning at the Rizal Memorial Baseball Stadium. 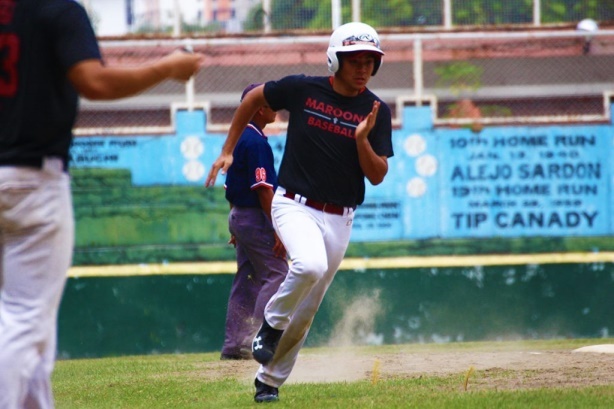 With their fourth win, the Green Batters clinched the first semis seat in the seven-team tourney organized by the Philippine Amateur Baseball Association. Facing a high-powered squad, La Salle jumped on IPPC early, connecting on seven hits in the very first inning. During that rally, Philippine ace Vladi Eguia gave up three doubles and a single – capped by a two-RBI double by first baseman Tuwi Park. La Salle would lead by as many as seven runs, 10-3, heading into the bottom of the sixth inning. IPPC outfielder Wilfredo De Guzman tried spark a late-game hijack, connecting on two hits in the last three innings that led to four RBIs. However, it proved to be too late, as the lead was simply too much. The Green Batters racked up 15 hits in the game, with reigning UAAP Athlete of the Year Kiko Gesmundo finishing with three. Escano, Diego Lozano, and Boo Barandian had two each as well. Lozano earned the win for La Salle, giving up just one hit in three innings pitched. Though Arvin Herrera and Luis Minana struggled to contain the Nationals, Gesmundo was able to close out the game in the last two innings. In the second game, the UP Fighting Maroons picked up their first win of the tournament, snapping the Adamson Soaring Falcons’ two-game winning streak, 8-5. Mosh Chavez and Patricio Neri had three and two RBIs respectively in the game, while transferee Kouichi Igarashi went 3-of-4 at-bat. To close out the day, the NU Bulldogs racked up their second straight win after storming back from 3-0 down to stun the Ateneo Blue Eagles, 6-3. With the game knotted at 3-all, Clairon Santos blasted a go-ahead, 2-RBI triple in the seventh inning. On Sunday, the Ateneo Blue Eagles (2-2) look to snap out of their two-game skid when they face the University of Santo Tomas Golden Sox (1-3) at 7:00am. On the other hand, La Salle (4-0) take on the UP Fighting Maroons (1-3) at 10:00am, before Adamson (2-3) go up against NU (2-2) in a must-win game for the defending UAAP champs.